When it comes to gyms, there are certain things I will not compromise on like location, amenities, cleanliness and equipment. However since I am someone who is into aesthetics, I also like my gym to look fab hence the picture of the cute sitting area from Life Time Athletic, a new chic Fitness club I recently visited. I will start by apologizing for the rather grainy pictures from my phone as walking around the gym with a camera would have been weird. When I found out a fitness club had opened at University Station I knew I had to check it out since its in near my house. I visited Lifetime Athletic with some blogger friends and the moment we walked in and noticed a Spa and cafe in the building I knew it was my kinda fitness club. I was really impressed by the fact that there is something for everyone including a indoor basketball court, a indoor/outdoor pool, Yoga studio, Spin classes, Pilates and lots more. Yes this place is so big they even have a indoor basketball court. Before touring the fitness club I had a training session with 2 great trainers Tanya and Kyle who were very good at what they did. 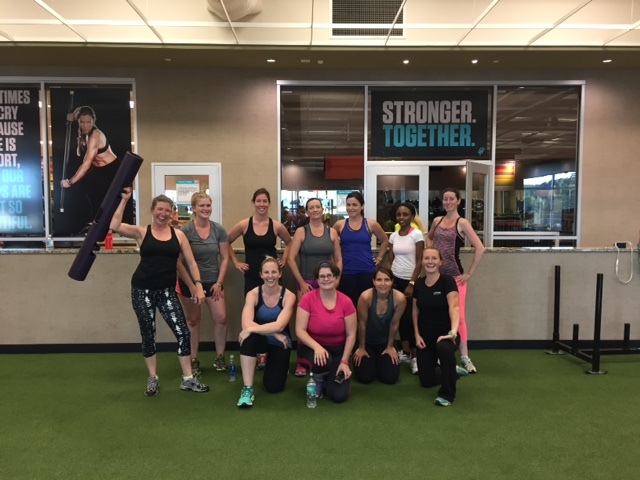 For a newbie like me, a great trainer is a must so I really appreciated that they took the time to explain what we were doing and guided us through the entire workout. You know you had a good training session if you are all smiling like we were in this picture. disclosure: Although my visit to Lifetime was complimentary the views and opinions in this post are completely my own.